After many years, the cross country course on the Bungendore Show Grounds is currently undergoing renovations and redesign. Several factors have lead to the current works on the course. These include the general wear and tear of use over time on the course and the jumps, the addition of a camp drafting arena on the grounds and the access to an expert course builder and designer to assist with this major project. Project Manager, Anne Field, from the Bungendore Pony Club, said that it is hoped to have all works completed in time to reopen the course for an event in late October 2017. 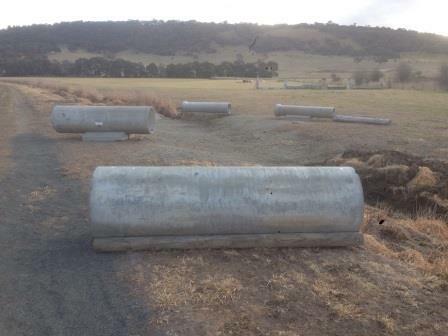 “By the time the works are completed, it will be a major investment on behalf of the Bungendore Pony Club and the Bungendore Riding Club for the new course” she said. Progress on the rebuild can be seen in the photos attached to this post. Regularly building days are being scheduled in order to achieve the completion time frame. 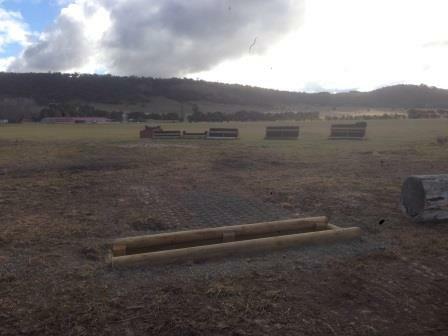 People interested in lending a hand and learner about the art of cross country course building should contact Anne via the Bungendore Pony Club Facebook page for more information and to find out when the next building day is planned. IMPORTANT NOTE: Until the rebuild is completed and signed off, the cross country course is closed to all users as it is a construction site.